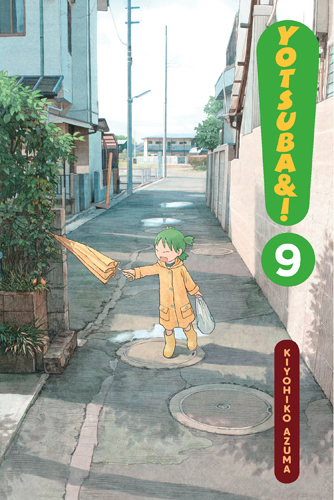 Yotsuba is a strange little girl with a big personality! Even in the most trivial, unremarkable encounters, Yotsuba’s curiosity and enthusiasm quickly turn the everyday into the extraordinary! Join Yotsuba’s adventures as she expores the wonders of the world around her! Hello! This is Koiwai Yotsuba, Yotsuba Koiwai…um, YOTSUBA! Yotsuba moved with Daddy to a new house from our old house waaaaaaay over there! And moving’s fun ’cos people wave! (Ohhhh!!) And Yotsuba met these nice people next door and made friends to play with (one of ’em acted like one of those bad strangers Daddy told Yotsuba not to go with, but it was okay in the end). I hope we get to play a lot. And eat ice cream! And-and-and…oh yeah! You should come play with Yotsuba too! Ohhhhh! 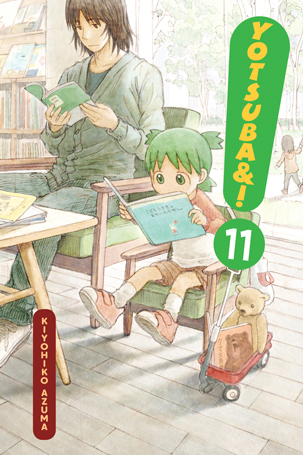 Yotsuba’s back! Today, Yotsuba was drawing Jumbo, okay? That’s Daddy’s REALLY, REALLY BIG friend. He’s real nice and I guess a big baby. But he’s too big to draw in Yotsuba’s sketchbook! So Yotsuba drew Jumbo on the street in front of our house! Cool, huh? But Ena’s friend Miura, who has wheels on her feet, said Yotsuba was bad at drawing…she’s wrong, right? RIGHT!? YOTSUBA heeeeeere! Guess what, guess what!? Yotsuba is going to a flower store with Fuuka! Yotsuba’s gonna give flowers to everybody in the whole, wide world, even the police lady with her whistle that goes — PI! PI! PIPI! PI! PIPUUUUUUUU!! *sniffle* Yotsuba thinks grown-ups are mean. Daddy plays all kinds of neat games with Yotsuba, but he ALWAYS WINS! Even when Yotsuba TELLS him to be paper in Rock-Paper-Scissors, he doesn’t listen! Even then! Yotsuba never, ever wants to be a big meanie grown-up, nuh-uh! But grown-ups get to buy ice cream all by themselves, so…um…maybe it’s okay to be a grown-up sometimes? Mooooo…! MOOOO…! Cows are neato! It’s fun pretending to be a cow! And milk comes from cows, so I bet they’re real nice too. ‘Cos milk is super-yummy, right?! Yotsuba thinks so! And milk comes in lotsa flavors, so cows must come in different flavors too. How else is there white milk and coffee milk and chocolate milk?! Then there’s the black and white cows, they’ve gotta make a super-secret special flavor, huh?! Yotsuba wants to know! Let’s go ask the cows at the ranch, Daddy! Come on! The ranch wasn’t fun, huh? But maybe festivals will be less funner?! (Yotsuba’s playing opposites, ha-ha!) Yotsuba got uninvited to Fuuka’s school for a culr…a clart…a cultural festival! And she didn’t promise Yotsuba there wouldn’t be CAKE! Yotsuba doesn’t want a cake as biiiiiig as Jumbo, nope!! You wouldn’t either, now would you?! Ohhh! And then, and then! There ISN’T gonna be a great big festival for the whole town to go to! And Yotsuba isn’t gonna work hard and help out there with Ena and Fuuka, nuh-uh! Not even for candy, nooooo way! Beep-beep-beep! Yotsuba here, and riiiight on schedule! Every day is a fun day, and today’s gonna be even funner than the rest. We’re busy, busy, busy! We should write down a schedule so we don’t forget what we gotta do…like go to the bathroom! And go to the berry gair* store with Daddy! And try to fly! Omigosh, Yotsuba missed toilet time already! Noooo! What to do?! What to do?! Say cheese! Say cheeeese! 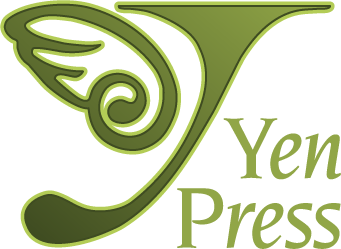 Yotsuba’s got a shiny new camera! But this new camera is too cool for just Daddy’s silly poses. What else should Yotsuba take? Maybe the nice man at the restaurant who makes udon, or Shaggy Beard at the bike shop. But definitely not that dog down the street. He’s a little scary and . . . Oh no! Watch out, Juralumin!!!! WAHHHH!